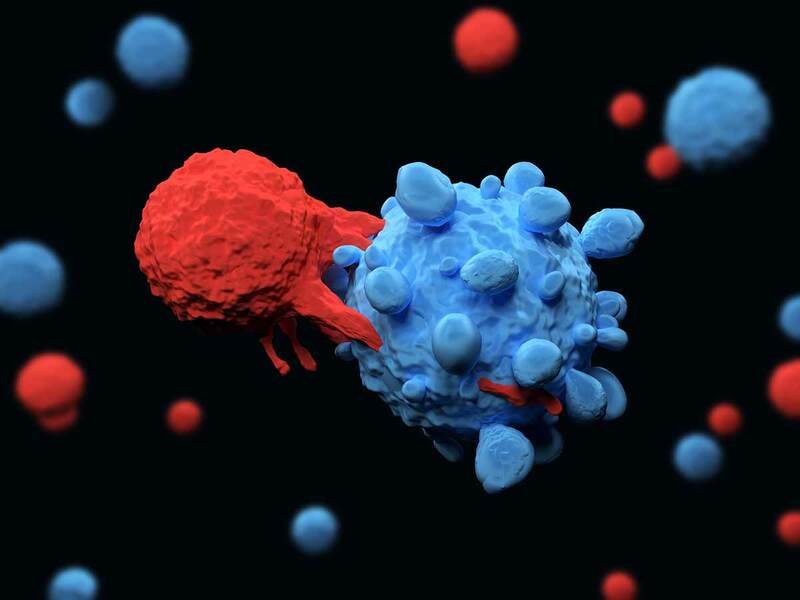 CAR-T cells recognize CD19 antigens on the surface of lymphoma cells as targets for their killing action. For people with an aggressive form of non-Hodgkin lymphoma, treatments can be limited. Enter a new treatment called Yescarta. Yescarta, or axicabtagene ciloleucel, can be nothing short of “miraculous” for these patients, according to Dr. Shin Mineishi, a medical oncologist at Penn State Cancer Institute. Based on the campus of Penn State Health Milton S. Hershey Medical Center, the Cancer Institute is the only hospital in central Pennsylvania that offers this last-resort treatment for certain cancer patients. The U.S. Food and Drug Administration (FDA) approved Yescarta in October 2017 for adult patients with a type of non-Hodgkin lymphoma called large B-cell lymphoma if their cancer fails to respond to chemotherapy or returns after two or more treatments. Yescarta is for adult patients with diffuse large B-cell lymphoma (DLBCL), primary mediastinal large B-cell lymphoma, high grade B-cell lymphoma, and DLBCL arising from follicular lymphoma. Read more in this Penn State Medicine article.